Some seats remain for Lectures and Luau with David Shoemaker – Zero Equals Two! There are still a few seats remaining for Lectures and a Luau, March 31-April 1, 2018, at William Blake Lodge in the Valley of Baltimore. Pre-registration is no longer available, so registration will be on site, first-come, first-served. 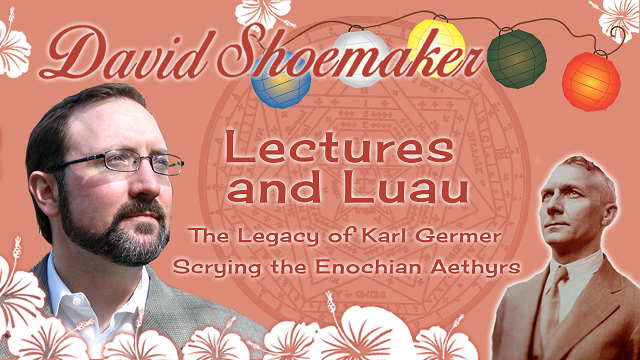 Participants will learn about Scrying the Enochian Aethyrs and the Legacy of Karl Germer, followed by a tropical tiki party with cocktail punches curated by Dr. Shoemaker. Registration rates ($55, with a $5 discount for dues-current WBL members) include lunch, snacks and dinner. It’s a good idea to reach out to contact@williamblakeoto.org to reserve a seat ahead of time, and to get information about local hotel accommodations and plans for optional off-site meals on Sunday. Get more information about Lectures and Luau with Guest Speaker and Tiki Punch Curator David Shoemaker. Dr. David Shoemaker is a clinical psychologist in private practice, specializing in Jungian and cognitive-behavioral psychotherapy. He has been a member of O.T.O. and A∴A∴ since 1993, and he has many years of experience training students in these traditions. He is the Master of 418 Lodge, O.T.O. in Sacramento, California, having succeeded Soror Meral (Phyllis Seckler), his friend and teacher. He also serves as the Most Wise Sovereign of Alpha Chapter, and as a Sovereign Grand Inspector General of O.T.O. David was the founding President of the O.T.O. Psychology Guild, and is a frequent speaker at national and regional O.T.O. events. He is also a member of the U.S. Grand Lodge Initiation Training and Planning committees, and he serves as an Advanced Initiation Trainer. 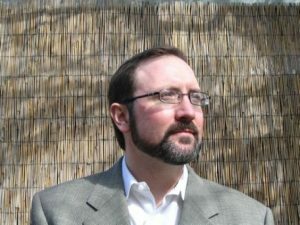 David’s popular “Living Thelema” podcasts have appeared regularly since 2010, and his widely praised Living Thelema book was published in 2013. David’s latest book, The Winds of Wisdom, contains a full record of his scrying of the Thirty Enochian Aethyrs. Plan to visit William Blake Lodge in Baltimore to see this amazing presenter! Lectures and Luau with Guest Speaker and Tiki Punch Curator David Shoemaker.